Happy Monday, everyone! Are you like me? Do you have two alarms set on your phone half an arm's length away, so you can hit snooze over and over without even waking up? 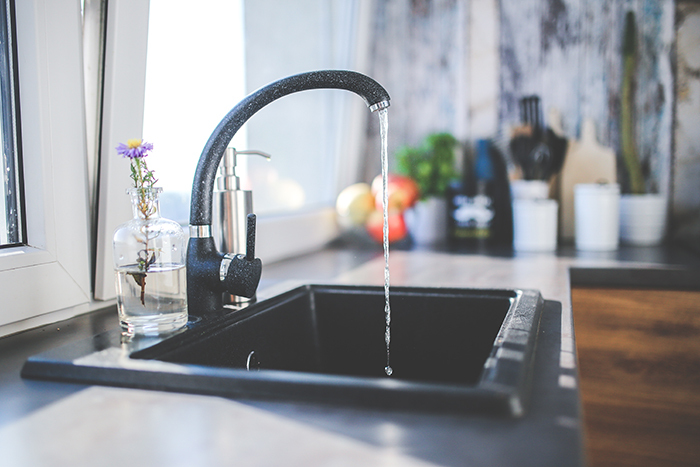 Since this is the day we all drag our feet the most every week, I thought it appropriate to talk about how we can improve our morning routines, to set a better tone for our entire day. My mornings usually consist of the same old snooze routine, followed by a last minute shower (if I can drag myself out of bed early enough) and barely making it out of the house in time to hit traffic so I can be 10 minutes late for work. Every morning my bed has become the perfect little cottony cocoon. It is so hard to will myself to leave this delightful situation I've found myself in, and I end up sleeping too long. So, if you're like me, what can we do about our morning lags? Apparently, the internet is chock full of great ideas on how to start your morning right. When I say start it right, I mean start it purposefully so that you're not waking up while you're halfway through your thirty minute commute (because that is what I do every day). 1. Move your alarm across the room. Having the phone next to us so that we can just tap the screen and go back to sleep is the best invention since sliced bread, but it also makes it extra easy to keep on snoozing every single morning. If you have to get up to turn off the alarm, you're going to be awake by the time you turn it off. It's a lot less likely that you'll hit snooze and get back in bed just to have to jump out again in nine minutes. The bed cocoon has been broken open and is no longer the temperature of perfection. You might as well get on with your day. 2. 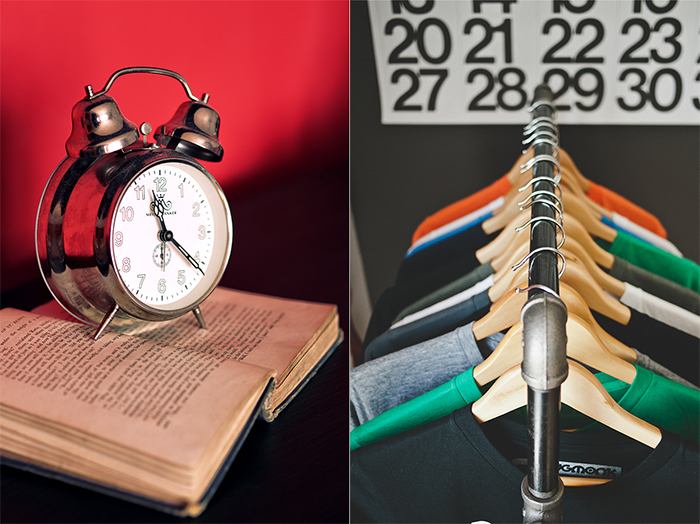 Pick out your clothes the night before. This makes getting dressed, for those of you out there who change multiple times, a breeze. This one I've started doing, and it makes it so I can get dressed in two minutes. I just go to my closet, and put on the already chosen outfit. It has cut ten minutes, at least, off my morning routine. That's ten minutes I could use to meditate or make a simple breakfast! We all need more water. There are some of us who are perfect and get our minimum of eight cups, but most of us are not those types of people. Get your glass of water first thing, and it will get your body hydrated and ready to get going. It will also help "move things along" ifyaknowwhatImean. How many times do you rush out the door at the last minute only to forget to eat anything? By the time you get to work, you're starving and rush for the donuts on the break room counter, only to crash and burn an hour before lunch. 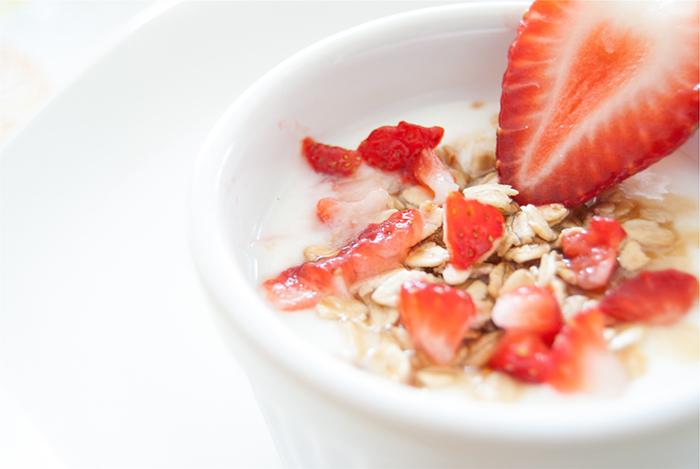 Getting up with enough time to eat breakfast not only gets your body on a regular eating schedule, so you crave junk less often, but also gives you energy to get through work until lunchtime. 5. Take a mindful moment to yourself. Meditation is said to be one of the best things a person can do for themselves. 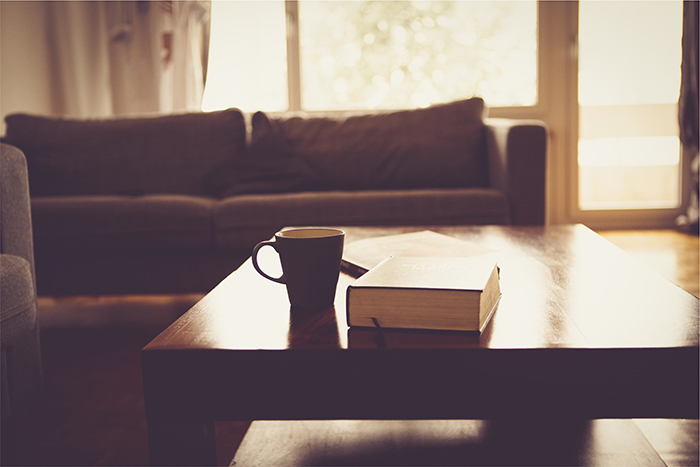 Often we get so busy in our day to tasks that we forget to set aside time to just be with ourselves. No phones, no emails, no tv, nobody else. The time can be spent setting the mood for your entire day, creating an atmosphere of calm, mapping out your goals for the day, writing in a journal, jogging, stretching, or whatever you do that helps you feel peaceful. The great thing about this one is it gives you the time you need for yourself before everything else gets in the way. Now, no matter what hits you, every day you've had the moments to yourself that you needed. Sounds easy enough, right? I think I'll start with eating breakfast, work my way up to stopping my snooze routine, and finding time to meditate or journal. Hopefully, if I succeed, I've found time to meditate, get in a quick jog, and eat breakfast. ++ Do you do any of these or want to start? 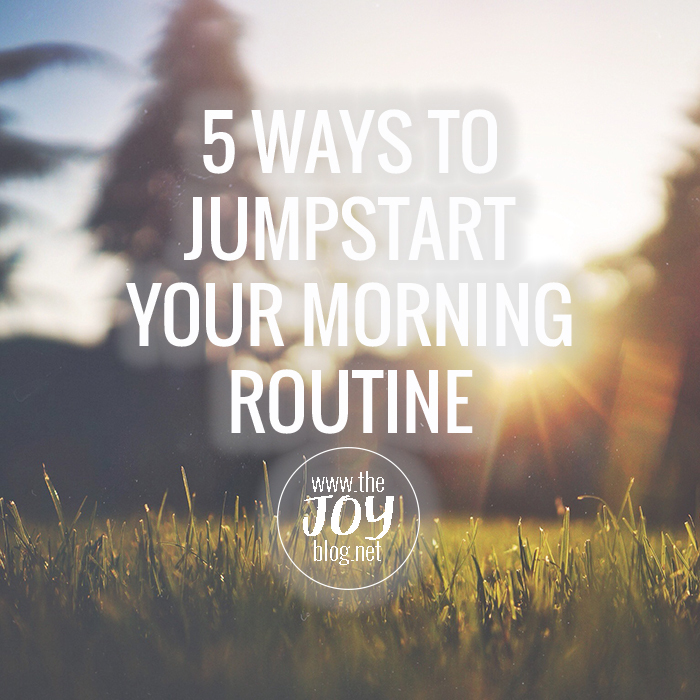 What are some other ways mornings can be given a jumpstart? Please share in the comments below. These are all great tips! I find that setting out my clothes and having my lunch packed the night before makes my mornings so much better and run smoothly! That is 100 percent the truth. When I have a lunch packed, I get so excited about being slightly successful in being a healthy adult! Love this. Some really lovely motivational ideas to get up in the morning. Thank you. My biggest tip for moms and dads is to train your kids to be independent in the morning. A kid that you don't have to follow behind makes mornings so much better. That is golden advice! I can imagine how much better every morning is if you're not having to dress each child, and help them with every step. My mom was pretty good with that with us, we all had our own alarm clocks and were held accountable for getting up on time. We weren't perfect (what kids are?) but it sure helped! Thanks for your great advice! Great tips. I love the one about moving the alarm clock. I can be a morning person, when I want to be. My kids, though, I think I would definitely move their alarm clocks across the room! You are lucky that you can be a morning person. I am struggling badly with the snooze button. It wins EVERY. SINGLE. DAY. :) Thanks for reading! Lovely and applicable post! When I do all of those things my day starts out SO much better! So why do I choose to stay in the cocoon so often?! Argh. I think the key is not going to bed super late. Oh and like putting lemon in my water too! Thanks! I totally agree, but even when I go to bed early, I wake up in a delightful blanket burrito and you can't make me leave it until I know I have to. Then on weekends it's the weirdest thing, I get up early and get going with my day. It's almost like a, "Nobody can tell me what to do, if I get up early it has to be for my reasons only." I guess I'm just a stubborn kid at heart. I definitely like to pick out my clothes the night before because nothing ever looks right when I try it in the morning! I also pack my lunch. But I've found that one of the things that helps me to wake up is having a purpose. Sometimes, I like to go on YouTube the night before and find a cute hairstyle to try in the morning. So I get really excited to try it and get up after my first alarm! That is a great idea! I never thought about doing that. That would make it more exciting, like "hey, in the morning I'm gonna attempt that crown braid." I like that, thanks for the great idea! Unfortunately for me, caffeine makes me feel nauseous (I'm an alien, if you're wondering) so I am not on that coffee train, although it smells amazing and I wish I could enjoy it. You're welcome on the MIA posts. I hope you got them all figured out! And also, thanks for complimenting my site... although, I think thanks goes to you. I love the peacefulness of the design scheme. Originally I wanted something really bright and vivid, but I feel more joy when I'm feeling peaceful, so the blue is totally perfect for it. You make great stuff! Hi from the Blog Loft! Your morning scenario sounds just like mine to a T. I think your first suggestion of putting the alarm/phone across the room is brilliant. I don't know why i never thought of that, but i'm going to try it now, makes total sense. Snoozing seems to make getting out of bed worse doesn't it? It sure does! I still haven't moved my alarm... I'm not sure my husband would enjoy the alarm buzzing for 5 minutes while I figure out how to wake up and go get it. hahaha. I work earlier than he does so he loves his morning snoozes. I still plan on doing it though. Just gotta prep him for it so I don't ruin his mornings! I am a TERRIBLE riser! I find it really difficult to get to sleep but then so hard to get out of bed. I have actually tried moving the alarm away before but I was terribly unmotivated and would get back into bed straight after! But reading this blog post has made me think again I have got into such a bad morning routine it really needs addressing - particularly the breakfast point. Not eating breakfast is having a terrible effect on me as it's just making me eat badly throughout the day so I'm committing now to change - Thank you!!! You and me both, girl! I get up at the last possible second and then rush out the door with a granola bar in hand, only to be so hungry that I beeline for the cinnamon twist donut on the breakroom counter. Totally guilty as charged this morning. But... so far, I pick out my outfits in advance, which is really freeing up some time. I think these habits are by far the hardest to start! I'm still failing at 4 of the 5! HAHAHA.... that's a good way to think of it. Thanks for reading!